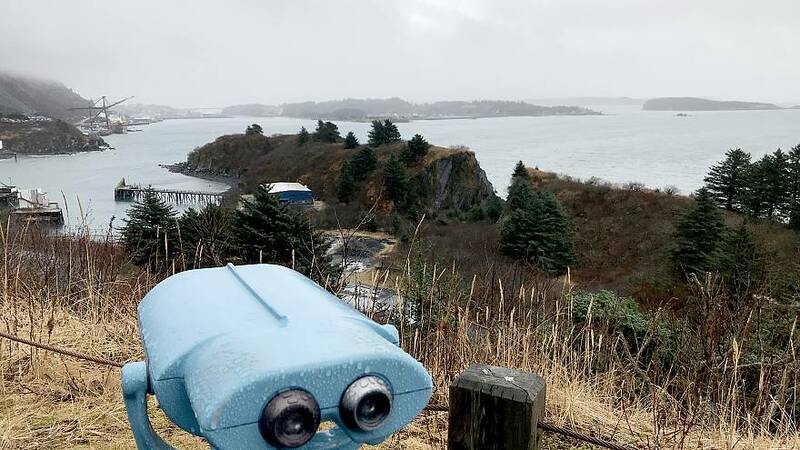 KODIAK, Alaska — Over 4,500 miles from the nation's capital, this remote island in the Pacific Ocean is home to a significant number of federal employees who are feeling the crunch of the longest government shutdown in U.S. history. The town of just over 6,000 residents hosts a sizable U.S. Coast Guard base that services a large swath of dangerous waters and untamed wilderness. Service members here are used to reporting to work every day to face the unexpected, anything from fighting fires to rescuing those lost at sea or to icy weather conditions. Now they're now also facing uncertainty over when they will see their next paycheck. Coast Guard workers across America operate under the U.S. Department of Homeland Security, one of the agencies with lapsed funding under the ongoing partial government shutdown. "When I'm actually out on calls doing emergencies, this isn't on my mind," said David Wilmot, a civilian federal firefighter at the base. "It's when I'm back at the station, when I'm in between calls, when your mind starts wandering, and it's a lot of anxiety to be sitting there and it's just a lot of stress, and it impacts your sleeping." More, importantly, Wilmot said, "if it keeps going on for a long time, then it's going to have an adverse impact on everyone's operational readiness." "I do know that I feel a pressure that I've never felt before in my life," said John Cannon, another firefighter on the base and a 45-year resident of Kodiak. He's concerned about eventually being able to pay for basic necessities and his ability to help his daughter, who he raised alone and who is currently off studying at college. "You're trying to do what you can do to make your ends meet and now the guy that you depend on, your father, might not be able to help you like he has been and that scares her, it scares me." While Kodiak is far removed from the political battles in Washington, the ongoing stalemate has reverberated across this island, from its workers to the businesses that depend on them. And their stories are not uncommon across a state with more federal employees per capita impacted by this shutdown than anywhere else, according to estimates. Because of Alaska's unique and expansive environment, the federal government plays a big role in daily life here across numerous agencies — from national parks to airports, waterways and the fishing industry. So it was no surprise that the state's senior senator, Republican Lisa Murkowski, was one of the first in her party to aggressively call for a quick end to a stalemate that has become bogged down in a fight over President Donald Trump's insistence on funding for a border wall. But there is no sign that the shutdown, now 26 days old, will end anytime soon and many federal employees aren't being paid, even if they are deemed essential enough to be needed on the job. 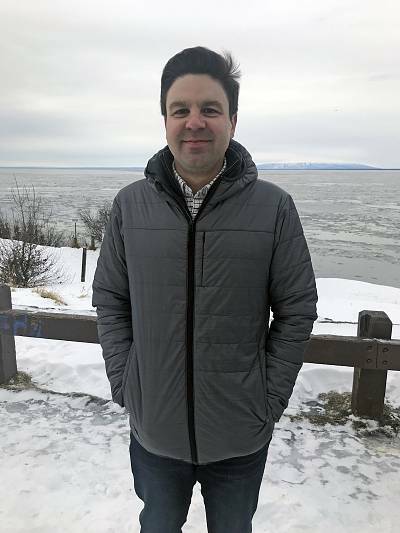 Rob Kindred, an air traffic controller in Anchorage, said the shutdown is starting to affect his home life as he and his wife try to identify their financial priorities without knowing when his next paycheck will arrive. His kids are involved in sports like hockey and gymnastics, he said, wondering, "do we continue to keep them in there and risk eventually not being able to pay the mortgage?" Brandon Berg, another air traffic controller in Anchorage, said he's stressed with trying to work through his bills and ensure his kids are taken care of. "There are some real negative impacts for me," he said. "I don't have a lot of money right now, actually." Congress has passed legislation to ensure that federal employees will receive their back-pay once the government is reopened, but that's not much solace for those living paycheck-to-paycheck. Dena Ivey, a furloughed probate specialist at the Bureau of Indian Affairs office in Anchorage, has been trying to come up with "creative ways to make the ends meet" like selling items on Craigslist to try to drum up extra cash to care for her basic expenses and her son Ethan. "We've all been through this a number of times, and I think that you know, at a certain point you just want to go to work," she said. "You want to know that you have a steady paycheck coming in, and you don't want to have to worry about a lot of politics behind it." 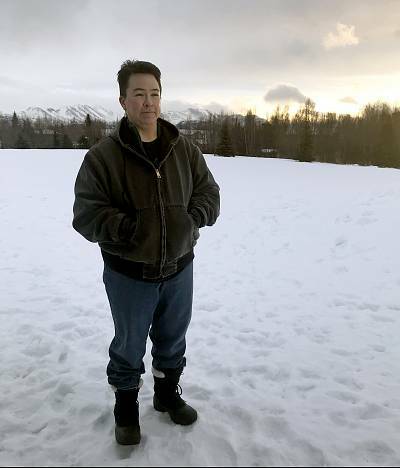 Residents of Alaska face their own unique challenges to this shutdown that workers in the "lower 48" states aren't necessarily hit with. Eric Mauro, another air traffic controller in Anchorage, has already been dealing with "significant damage" to his home and belongings from the 7.0 earthquake that struck the area in late November. He said he's had to spend thousands of dollars already to repair the heating system and address other fixes. His family has been using their fireplace to keep warm during Alaska's cold winter since their heat was only turned back on last week. "Fixing little pieces at a time," he said. "It's a little stressful, bringing that home and just trying to explain to your family why you're not getting paid is tough. A lot of our friends and stuff as well don't understand why we're not getting paid." He's currently trying to figure out which expenses can be put on hold, while his daughter's birthday is coming up soon. "It's hard to explain to your kids why you can or can't do something because you don't know when you're going to get paid." In remote Alaskan towns like Kodiak, their isolation contributes to another host of challenges. "Kodiak is a wonderful place to live and work but it's also a very expensive place to live and work," said Luke Nymeyer, another civilian federal firefighter at Coast Guard base. Supplies on the island must either be flown in by plane or shipped in by barge. Nymeyer estimates his weekly budget for groceries is almost three times as much as that of his friends' in Ohio, plus the cold temperatures mean heating bills in Alaska aren't cheap. "Kodiak is really like the end of the road of where the government reaches to," added Cannon. "We are at the very end and we have our own problems just from being remote itself." In small towns like Kodiak that rely on their Coast Guard base, some business have also seen a significant decrease in their income. 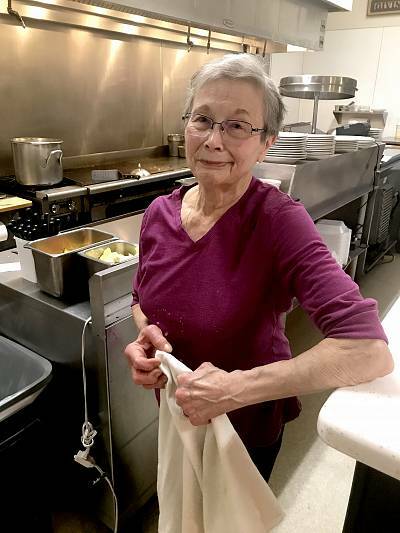 Eleanor King, the owner and operator of King's Diner on the island, a popular spot for local Coast Guard workers, estimated that her business has been down has much as 50 percent in the wake of the shutdown. She knows that luxuries like going out to eat are some of the first expenses that get cut when people are pinching money, and she's started offering a 10 percent discount to those workers who haven't seen a paycheck. "This is a fishing town so we need the Coast Guard and we appreciate having them here and they need to know that," she said. "We all depend on them very much and just want them to know that we are behind them and will help them any way we can." Aviation is a way of life in Alaska, with so many towns and villages cut off from access to the road systems, but the air traffic controllers maintain that travel through the skies is still safe, though they are concerned about training programs and other parts of their support systems that are on hold due to the shutdown and furlough of other colleagues. "The biggest thing for us is we are going to go to work and we are going to operate at 100 percent and it's going to be safe," said Mauro. "You know, that may come with the cost of efficiency, but we're always going to be safe. But eventually without our support staff, how long can we maintain that is the question, to keep everything running as efficiently as we are now." Weather forecasters, meanwhile, are also still at work and the weather reports many people in the region critically rely on are still going out. "The level of stress in general, especially in the Anchorage office, is already at a heightened level, so we are really making sure that our mission is being met at all times," said Rebecca Anderson, a meteorologist for the National Weather Service in Anchorage, speaking in her capacity as a member of the National Weather Service Employees Organization. "Your forecasts are not being impacted. We are still working diligently to provide the best services. The biggest thing is morale in the office, making sure we take care of one another, and people are okay as long as this shutdown lasts." Morale was also a big concern for some of the firefighters back in Kodiak, and Cannon said his attitude shifted after looking at his phone this week and seeing his first real empty paycheck. "The first time in 20 years I haven't been paid," he said. "It's a whole different feeling now for me." "Going to work right now, not knowing what's going to happen, is starting to have a slightly adverse effect on morale," he continued. "I think that as this progresses, that morale will continue to deteriorate."